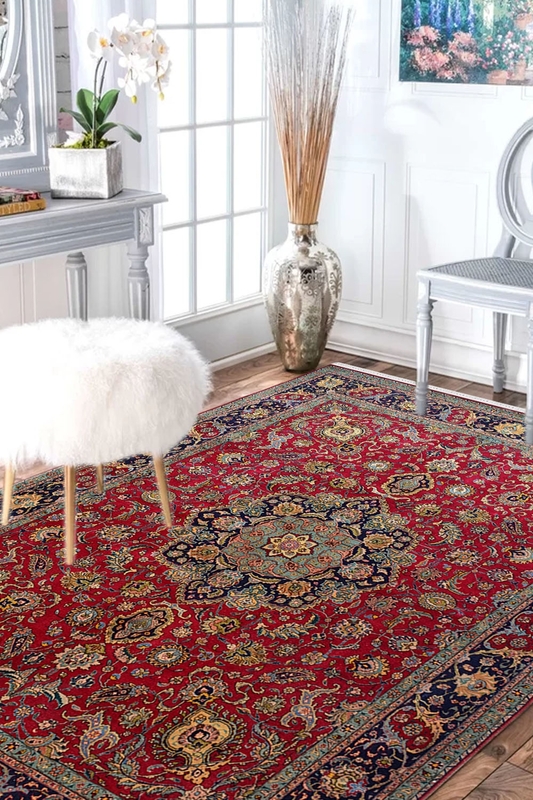 An exclusive hand-knotted carpet which is woven in pure New Zealand wool and finest quality of a cotton material is now available at the reasonable price range. Buy this carpet and give a new look to your living interior. Kashan design, which has been originated from Kashan and kashan city is situated in Persia. This carpet contains same design pattern with a beautiful medallion pattern in centre. Place this gorgeous carpet in your living room and impress your guests. This carpet is totally handknotted on a handloom and due to the low pile, it is highly durable and easiy to vacuum. You can use it for high traffic area.